SCSF series central safety filter in central loading system adopts large dust collector to filter dust and small impurities in material so can effectively protect blower and prolong its service life. Self-cleaning function realize the effective cleaning of the filter by set-up auto timer, which can reduce manual clean times. 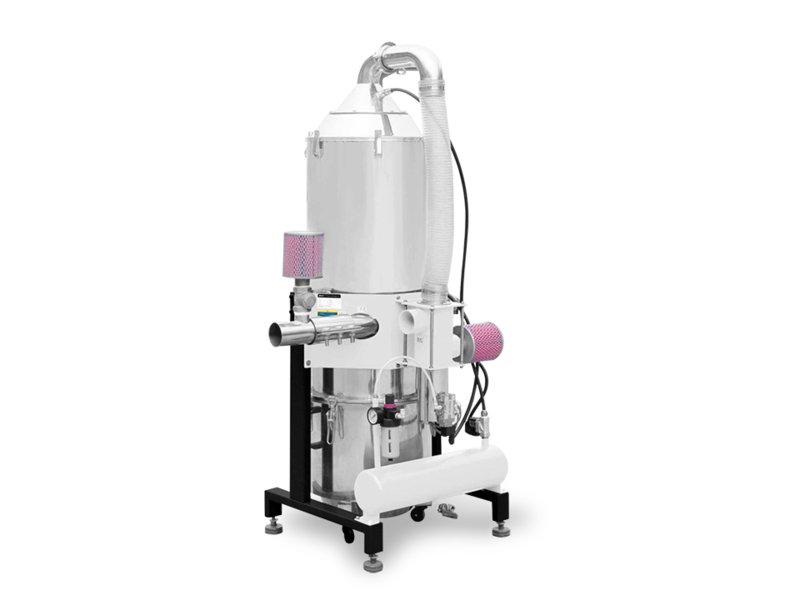 Equipped with vacuum breaking valve to not only protect the blower, but also accelerate conveying and loading speed.